How far would a movie company go to fend of movie pirates and put a stop to their scheme which is causing the company billions of money in potential income? Â Well, Warner Bros. through its Anti-Piracy division is going as far as recruiting students to spy on activities on private Torrent Sites. 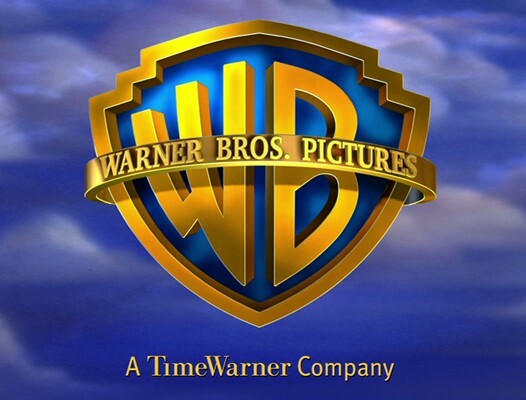 If you’re an “IT literate” student who has experience participating in those torrent sites, you might want to apply for this internship at Warner Bros. Who knows it might open up other income-generating opportunities for you, right? I mean what job could possibly be the best for you if you’re a student, which according to Warner Bros are very experienced with private Torrent Sites? The job deals with both digital and physical piracy. And if you apply land the job, you’re responsibility include making trap purchase and maintaining accounts on those sites. Â You will also be scouring the Internet looking for illegally posted and used Warner Bros. and NBC Universal content. Â You will also be responsible for sending out take down and infringement notices to violators. And guess how much Warner Bros. is willing to pay for this internship? – Â Â£17,500 salary for the 12 month internship that will start on July 2010. Applicants are required to study a degree in a computing related discipline and programming experience with Java or JSP and PHP, Perl or Python is seen as a bonus. Deadline for submission of application is on March 31. Interested with this cool job? Better send your application now. At least Google cares as its philanthropic arm Google.org, announced $10.25 million in investments in a breakthrough energy technology called Enhanced Geothermal Systems (EGS). EGS expands the potential of geothermal energy by orders of magnitude. The traditional geothermal approach relies on finding naturally occurring pockets of steam and hot water. The EGS process, by comparison, replicates these conditions by fracturing hot rock, circulating water through the system, and using the resulting steam to produce electricity in a conventional turbine. Google’s Renewable Energy Cheaper than Coal initiative focuses on solar thermal power, advanced wind, EGS and other potential breakthrough technologies. Google has set a goal to produce one gigawatt of renewable energy capacity, enough to power a city the size of San Francisco, in years, not decades. “EGS could be the ‘killer app’ of the energy world. It has the potential to deliver vast quantities of power 24/7 and be captured nearly anywhere on the planet. And it would be a perfect complement to intermittent sources like solar and wind,” said Dan Reicher, Director of Climate and Energy Initiatives for Google.org. Information Architects announced the launch of the Big Green Tree (BGT), the first eco-dedicated web community that will bring friends of the environment together like a green MySpace. BigGreenTree.net is a fully licensed component of IAGREEN.com designed to play a major role in unifying the “Green Renaissance” in one of the first social networking sites dedicated to the environmental movement worldwide. BigGreenTree.net creates a Global web community of individuals, groups and organizations who promote Eco-information and progress and share a mutual interest in protecting the environment. It also will serve as a viable work space and data collection point for like-minded green enthusiasts. At BGT, information and an open flow of dialogue is expected to both stimulate new interest in the green lifestyle and act as a foundation for direct action. SecondRotation announced that it has expanded its service to recycle electronics that hold little or no market value. Since its launch, consumers have called on SecondRotation to get cash for their cell phones, digital cameras, Apple laptops and other gear. Now they can turn to Second Rotation to recycle older products, keeping even more unwanted electronics out of landfills. On a daily basis, SecondRotation sifts through millions of online sales transactions for pre-owned gadgets to determine product values, and to identify products that are recyclable. Once a consumer identifies their recyclable product on SecondRotation.com, they can ship it for free in a box with another product they are looking to sell, or pay to ship it on their own. With the addition of recyclable products, SecondRotation now tracks over 6,000 electronic products that it helps to keep out of landfills. 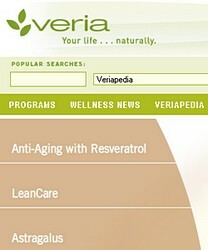 Veria, a company dedicated to bringing natural wellness to the mainstream, is launching its online wellness portal Veria.com to become the the first of its multi-integrated tiers that will have natural wellness consumers thinking differently about diet, about exercise and about life. This is a one-stop destination for those interested in making wellness a lifestyle. Through Veria’s comprehensive online wellness encyclopedia, consumers will have a trusted source to conduct research, download videos and review the latest updates and articles on health and wellness. More than 200 million Americans express a strong desire to live more naturally, and an additional 80 million state that maintaining health and vitality is the most important goal in their lives.